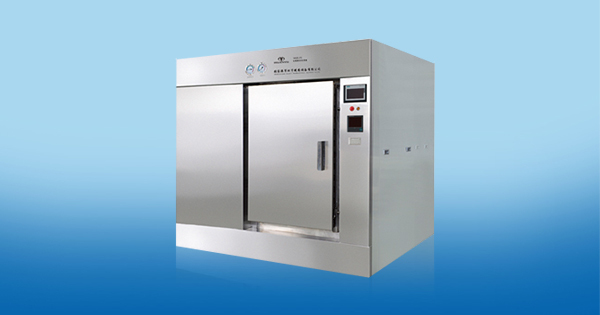 Huanyu autoclave provide you autoclave,sterilizer,medical autoclave,water shower sterilizer,pulse vacuum autoclave,steam sterilizer.Huanyu pharmaceutical autoclave equipment is the one of the highest quality manufacturers and suppliers. The MQS-P3 series sterilization equipment clinical waste is used for the toxic medical waste in P3 laboratory, it is suitable for the operation of microorganisms that can cause serious diseases of human beings or animals, and can easily spread directly or indirectly between human beings, animals and human beings, or animals and animals. 1.The series sterilization equipment clinical waste adopts saturated steam sterilization medium. 2.Equipped with high efficient bio-safety filter. 3.This series sterilizer has a variety of loading and sterilization process for users to choose and support against articles in different property. 4.The sterilization equipment clinical waste machine can be equipped with secondary inactivation system, biological hard seal or biological soft seal two ways to realize the complete isolation of loading and unloading side. a.This series of sterilization equipment clinical waste adopts horizontal rectangular structure. b.304 or 316L stainless steel chamber, high quality vessel plate or 304 stainless steel jacket, whole stainless steel draw-benched cover plate, with a standard GMP verification interface. c.Industrial control system PLC + HMI has standard “user management, data storage, process management” function. The sterilization process can be traced back, with independent data recording devices and industrial control system to ensure data accuracy. 6.Application: Mainly used for the high temperature sterilization for the toxic substances in P3 laboratory and biological pharmaceutical industry.